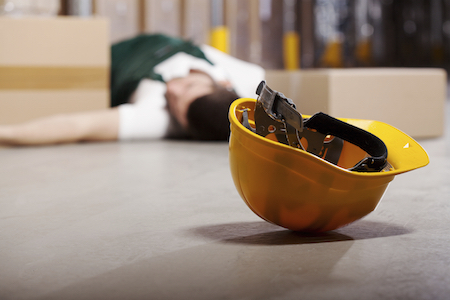 When Do You Need A Work Injury Lawyer? If you have been injured on the job, how do you know when to get an attorney? While many people may advise you to get workers’ compensation, there are exceptions when you may need to seek an attorney. Today, we are going to look at few reasons when hiring an attorney will be in your best interest if you have suffered a workplace injury. If your work injury was related to a product that was dangerous and failed to work and the manufacturer knew about it, yet failed to tell your employer they can be held responsible. This can result in them compensating your for medical bills, pain and suffering and lost wages. Be sure to speak with an attorney about your rights if you were injured or became ill because of toxic substances. There are many cases where your employer may respond to your injury in a way that would qualify you to get help from an attorney. A few examples of reasons you may want to speak with an attorney are if your employer is refusing to tell you the identity of the insurer, if they demand to know when you will be back, threaten to hire someone else to do your job within a week if you’re not back, or other overbearing demands. On the contrary to the last point, if you have been trying to reach your employer or insurer about your claim and they do not contact you for an extended period of time, you may need to speak with an attorney. While this situation is more rare, it can happen and you will need someone to step in and help you make sure that your claim is handled justly and fairly. Another reason you may want to hire a work injury lawyer is if your claim was denied. Generally the insurer is supposed to investigate the case before making the decision, yet if there is no evidence that an investigation was made, your denial may be unjust. Speaking with a work injury lawyer is a wise decision if your employer is uninsured. It can be an overwhelming process to sue, but with the help of an experienced attorney you can get the compensation you deserve to help pay for your recover and pain and suffering. We hope that you have a better understanding of when you should speak with a work injury lawyer. Of course, if you have additional questions, we will be happy to help.